Amicus works with health care organizations to build change capacity through physician alignment and engagement. We believe care improvement requires trust and collaboration among doctors and between doctors and their organization. Strained or frayed relationships are impediments to moving forward together that need to be, and can be, addressed. are the founding partners of Amicus. A graduate of the Harvard University School of Dental Medicine, Jack Silversin holds a doctorate in public health from Harvard University and serves as a member of the faculty of medicine in the School of Dental Medicine. He is a nationally recognized speaker on physicians and change and a regular presenter at IHI conferences, faculty for Medical Group Management Association-sponsored executiveeducation programs, and content expert for Minneapolis-based ICSI’s collaborative on building a culture of quality. Mary Jane Kornacki holds a master of science degree in public health from the University of Massachusetts, where she specialized in health education and health behavior. Her special interests include leadership, team dynamics and the professional satisfaction of women physicians in medical organizations. Her understanding of the principles of adult learning and behavior change are reflected in the models and tools that are fundamental to Amicus’ consulting work. 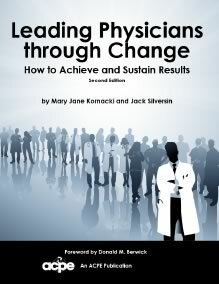 Jack and Mary Jane have collaborated on numerous publications on physician cultures, physician morale, medical group dynamics, governance in physician organizations and service improvement in health care. Jack Silversin offers presentations for executives, senior leaders, physician leaders and medical staff. His talks are bespoke and reflect client’s unique needs and situation. He has spoken on a range of topics related to healthcare culture, physician leadership challenges and physician-organization engagement. He has given keynote talks to kick-off retreats and conducted workshops related to the physician-organization compact. All members of an organization have implicit expectations of the deal they signed onto. These unwritten, but no less significant, expectations are a compact. As the pace of health care change has quickened, many physicians are feeling frustrated. Many are asked to innovate and adopt changes that feel outside of their original deal. 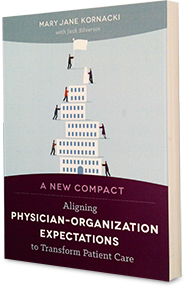 Exploring the traditional compact and how it does and doesn’t fit with evolving organizational needs has proved to be a useful way to engage physicians toward the aim of improving professional satisfaction and alignment with strategic aims. Gregg S. Meyer, MD, MSc, chief clinical officer, Partners HealthCare Systems, Inc. Unhappy doctors: what are the causes and what can be done?